Carbon Footprint – Offsetting or Polution? The Carbon Footprint, also called CO2 footprint, represents the total greenhouse gas emissions produced by an organization, event, product, flight or household in a defined period of time. Greenhouse gas emissions, generally referred to as CO2 emissions, are the results of various activities that we undertake as a consequence of human development and progress: transportation, fuel, food, manufactured goods, materials, wood, roads, buildings, services etc. The carbon footprint is calculated at the household or individual level as well as events (team building, conferences, forums, concerts etc. ), air travels or at the business level – company or various organizations. 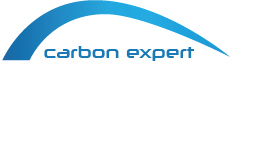 Carbon Expert helps you in calculating the carbon footprint of your business as well as offsetting CO2 emissions generated by all activities that you undertake. We can also offset CO2 emissions of the events that you organize or take part in. Are you interested in reducing your carbon footprint? Contact us to discuss specific details of your business.